When Amazon announced the closure of all 87 of its pop-up stores in the U.S., it seemed to signal a failed experiment, but temporary shops can be a proving ground to test different physical experiences and gather data. Why it matters: The pop-ups likely gave Amazon's strategists proprietary data and insights as the company prepares to open more brick-and-mortar outlets like Amazon Books, Amazon 4-Star, and Amazon Go convenience stores. Between the lines: Pop-ups are being leveraged by different entities for different insights. Brands ranging from IKEA and direct-to-consumer Outdoor Voices to tech giants like Google and rock legends Guns ‘n’ Roses are opening pop-up stores. The Amazon pop-ups merged mobile commerce and store display, creating a dataset on sales, foot traffic, and home-delivery. These insights will likely inform stock and the design of Amazon's physical stores. For instance, products and store features that performed well in Williamsburg, Brooklyn, could work in similar neighborhoods such as Wicker Park, Chicago, or Hayes Valley, San Francisco. 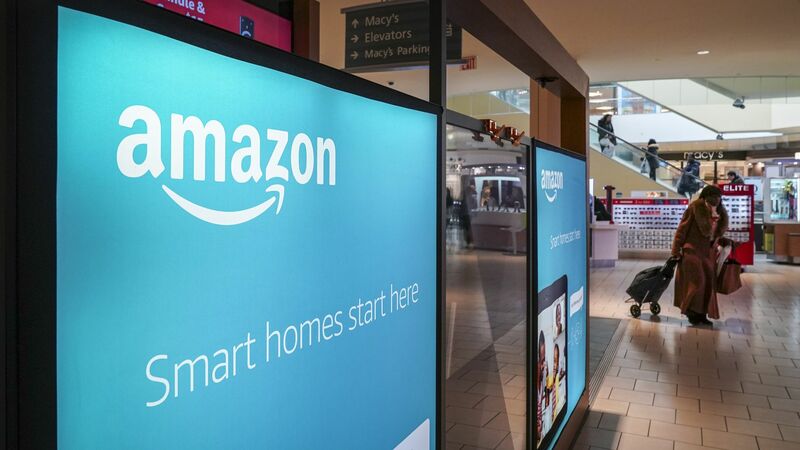 Launching 87 pop-up kiosks allowed Amazon to test consumer reception in 21 states while experimenting with different retail environments, such as Kohl’s stores, Whole Foods, and shopping malls. In the larger scheme of Amazon’s physical retail strategy, it’s a relatively small investment. The company reportedly plans to open 3,000 Amazon Go stores by 2021. Yes, but: Pop-ups tend to be small spaces with limited inventory, which means they serve a different purpose than showrooms or stores. Retailers can leverage pop-ups as outposts to introduce products to new audiences, or to handle pickups and returns. However, they don't give the full picture of how a brick-and-mortar might perform in a given neighborhood, what to stock consistently, and how to grow and retain foot traffic. The bottom line: Retail is trending towards smaller chains, better store designs, and greater diversity of services and experiences. Brands, including Amazon, are working to offer consumers the convenience and experience of a physical location — one that has been informed and optimized by data on consumer preferences. Amit Sharma is founder and CEO of Narvar, which provides customer engagement software and data analytics for retailers. He previously led retail initiatives at Apple, Walmart and Pottery Barn. Amazon has reportedly begun to eliminate its library of anti-vaccine documentaries from its Amazon Prime Video streaming services, only hours after Rep. Adam Schiff (D. Calif.) wrote an open letter to Amazon's CEO Jeff Bezos, expressing concern, according to CNN. Driving the news: Wired recently reported that vaccine doubt is growing globally, indicating that public trust in science is diminishing. Amazon's recommendation algorithms has pushed people toward its anti-vaxx content and while its film list is shrinking, a collection of anti-vaxx books remains available for purchase on Amazon.com.